Reduce the Number of People Engaged in Substance Use. Advance prevention through applied research, based in evidence-based practice. Safeguard the role of prevention of substance use. Promote prevention excellence by highlighting local examples that are working exceptionally well. 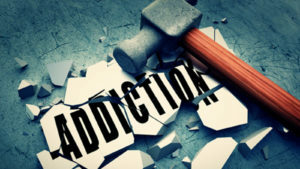 The substance use disorder landscape is in need of immediate intervention. Vaping use rates for high school students surged in the past year- marking the largest single year increase in the use of a substance ever observed. The percentage of high school seniors who reported current vaping increased from 11% in 2017 to 21% this year. This means at least 1.3 million additional students in grades 9-12 are vaping between 2017 and 2018. (Monitoring the Future 2018). The use of vaping devices for marijuana is increasing at an alarming rate. In each grade, between 9th – 12th grades, current vaping marijuana rates rose by more than half from 2017-2018. (Monitoring the Future). *In the near future, we will be launching a Prevention & Recovery program to accomplish these objectives. This program will provide a community framework for joining prevention and recovery in communities to develop and implement effective local initiatives that create community supports that reduce risk factors and increase protective factors- for both initiation of substance use and return to use. More updates will be posted shortly.